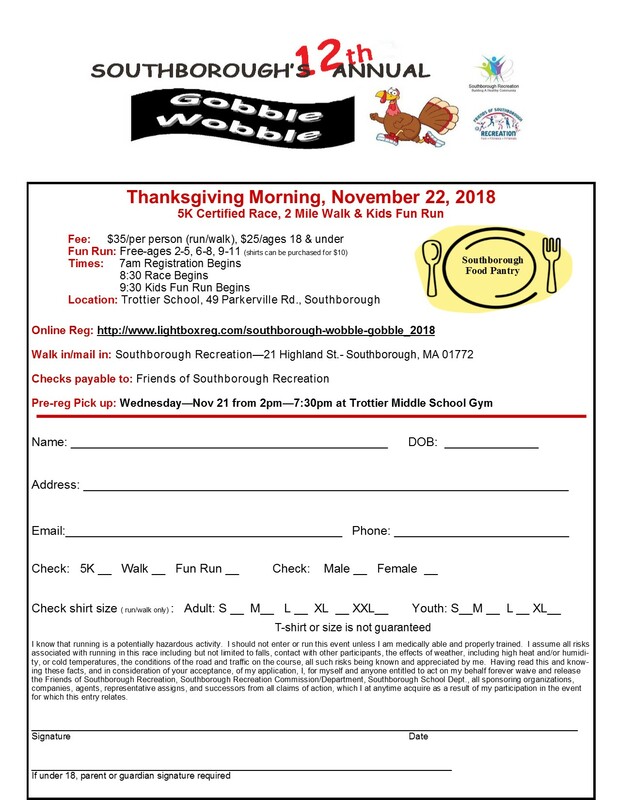 The Friends of Southborough Recreation Department is proud to bring you the Annual Gobble Wobble 5K Road Race, 2 Mile Family Walk and Kids Fun Run on Thanksgiving morning. This is an event to help promote and support community health, togetherness, and spirit through providing recreational activities, facilities, and events. 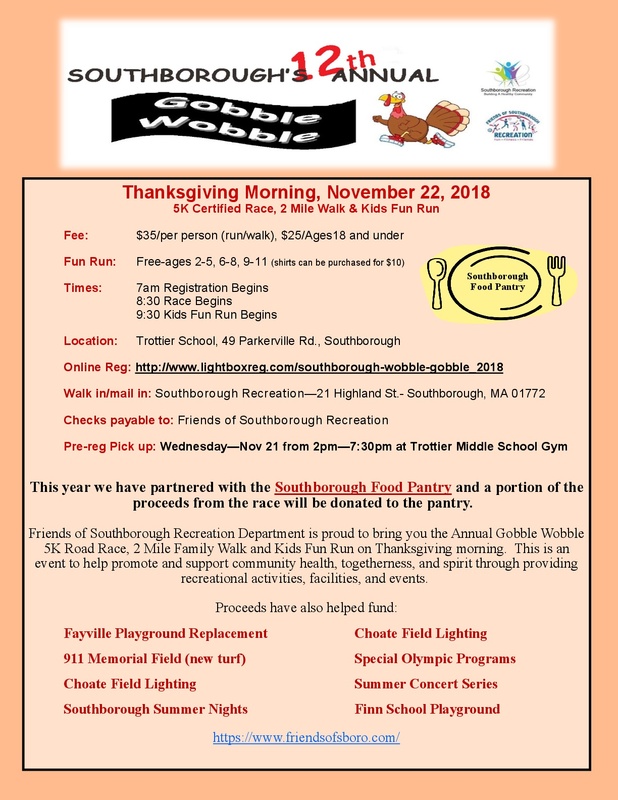 This year we have partnered with the Southborough Food Pantry, a portion of the proceeds will be donated to the pantry. Babysitting is available during the race - need to register for it and bring $5/child the day of the event. 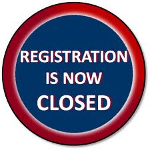 Registrations will be accepted during pre-reg pick up and day of the event. Day of registration goes up to $40 so register early!! Shirt size is not guaranteed and there are no refunds if participant cancels or race is cancelled due to inclement weather. Immediate family in same household of 5 or more may contact Dferguson@southboroughma.com to ask about discount.